God is simply amazing. In the last two years I have had to go back for either a diagnostic or a sonogram due to them finding something on my initial annual mammograms. Each time God shows me favor with the 2nd test being negative. Since my mother died from breast cancer it increases my likelihood that I should get cancer too. However, this is not God’s plan for my life now or ever. His plan for me is to continue to raise and protect my son so that he grows to be the man of God that he has destined him to become! 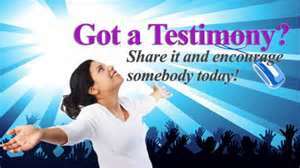 I wasn’t going to write because I felt shallow by giving testimonies about money but I am going to be obedient and share my testimony. At first I thought it a coincidence that since starting this journey with the Surrender Family in Cycle 3 I’m blessed financially each cycle. In Cycle 3 I was promoted on my job which increased my salary In Cycle 4 I received a bonus from my job for the first time ever. In this Cycle 5 we received a financial waver. We were financially blessed by our receiving a loan modification on our home. I called the mortgage company to ensure our payments were in good standing and she said you have a positive account where there is extra money. Nothing is due for March! I’m not sure how or when we paid an extra payment but with that break it allowed us to receive extra unexpected money in Cycle 5 as well. A LONG TIME AND FORGOT THAT THE I WASN’T IN TUNE WITH GOD…THANK YOU!!! !